[dropcap]M[/dropcap]arathon M5 Plus is a new addition to Gionee’s Marathon smartphone series, launched few weeks back in India. The Marathon series has been highly popular in India mainly due to the fact that all M series phones aim at delivering an extremely good battery backup by packing high capacity batteries and power saving modes. 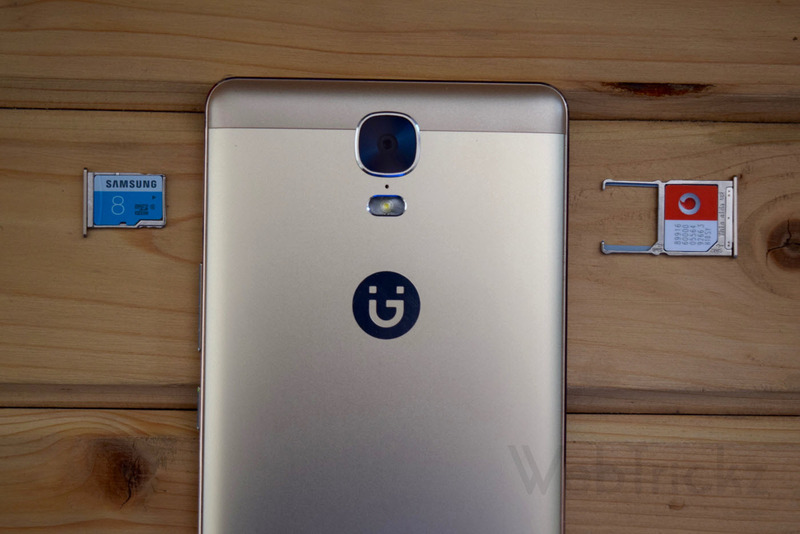 With the M5 Plus, Gionee has upgraded its Marathon line-up with a device that outshines both in terms of design and hardware. The M5 Plus is top of the line smartphone in the “M series” coming with new additions, features and a much bigger display to cater the utmost needs of frequent commuters out there. We’ve been using this handset for a while now, so let us share our first impressions with the M5 Plus. 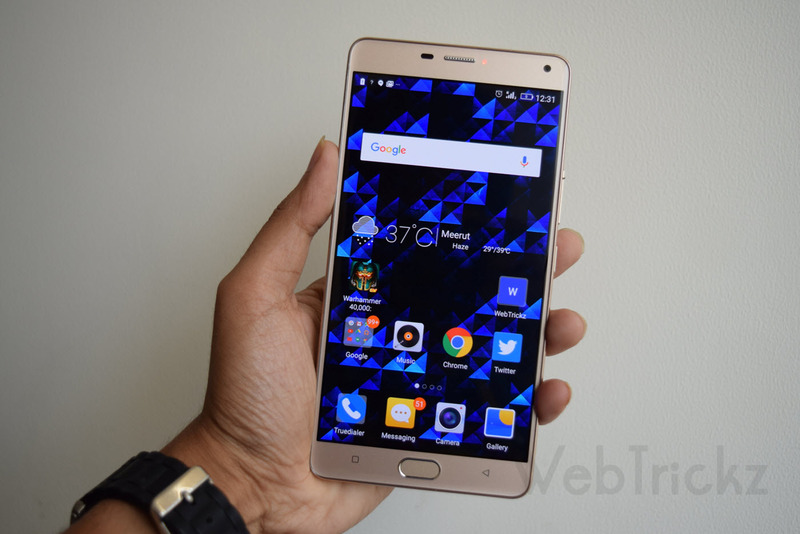 But before that, we will highlight the noteworthy improvements with M5 Plus as compared to its predecessors. 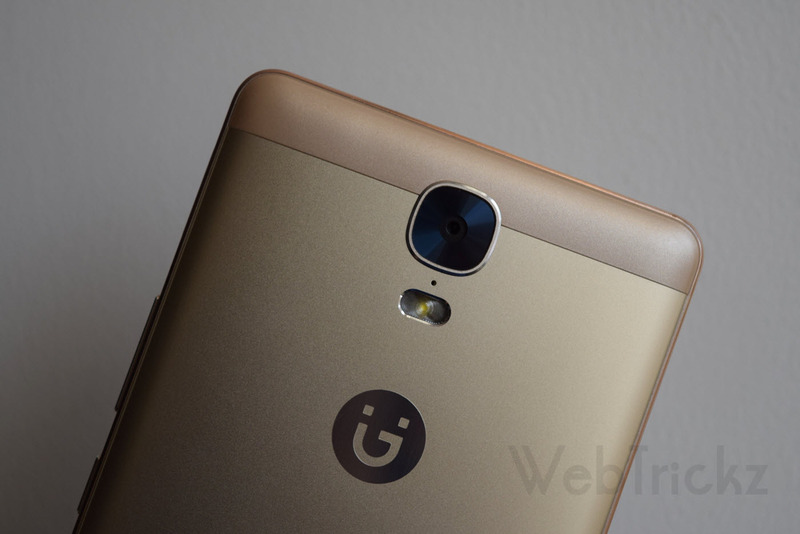 Gionee M5 Plus sports a full-metal body design, packing a 6-inch display and a massive 5020mAh battery in an ultra slim profile. The premium design and looks can be clearly seen once you hold this beast that follows a symmetrical design language. The M5 Plus packed with a metallic design has semi-gloss finish that feels smooth and fortunately isn’t slippery. The front panel features a 2.5D curved glass offering a better grip, the display has thin bezels and a 75.5% screen-to-body ratio to fit a large display in a compact form factor. 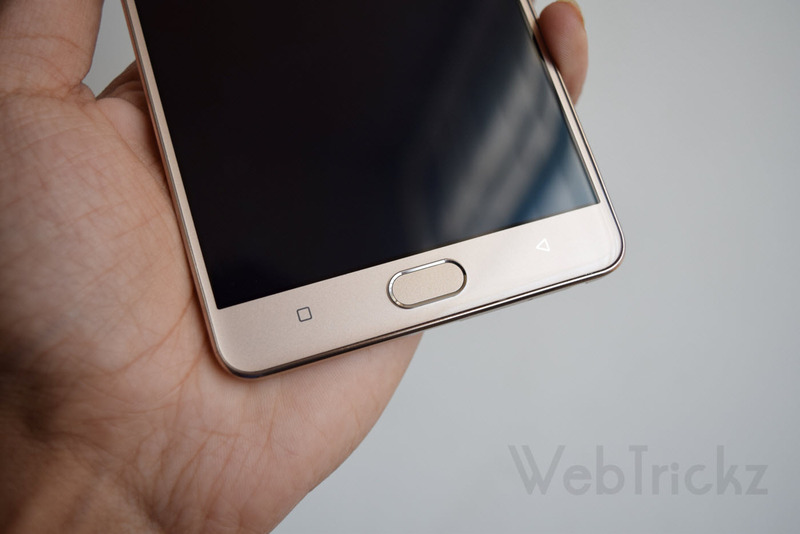 The phone comes with a fingerprint sensor integrated with the physical home button on the front with two non-backlit capacitive keys and there is a notification LED at the top. The home button isn’t too hard to press and fingerprint sensor works pretty well with a good accuracy. On the right side, we’ve a metal power button & volume rocker that offers a nice tactile feedback and a slot for microSD card for storage expansion upto 128GB. Unlike most Android phones that come with a Hybrid SIM tray, the M5 Plus has separate slots for Dual SIM and microSD card which is a plus point. 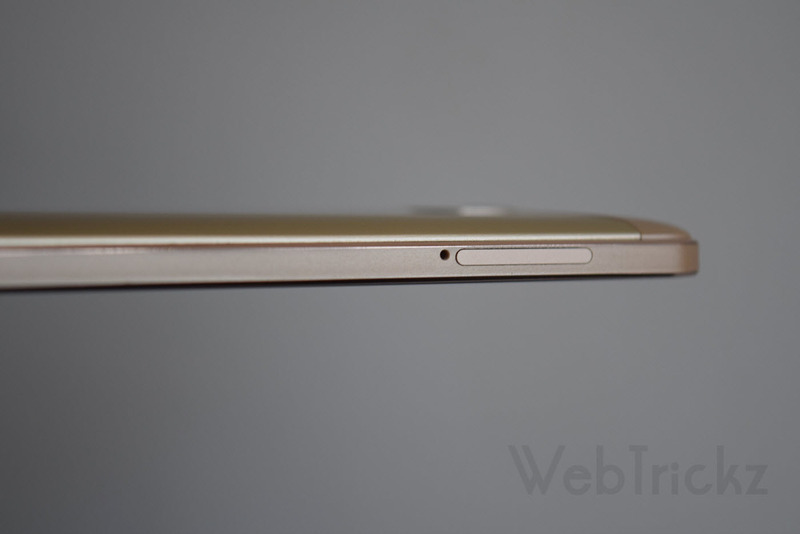 The Dual SIM tray is on the top left side that accepts micro SIMs. 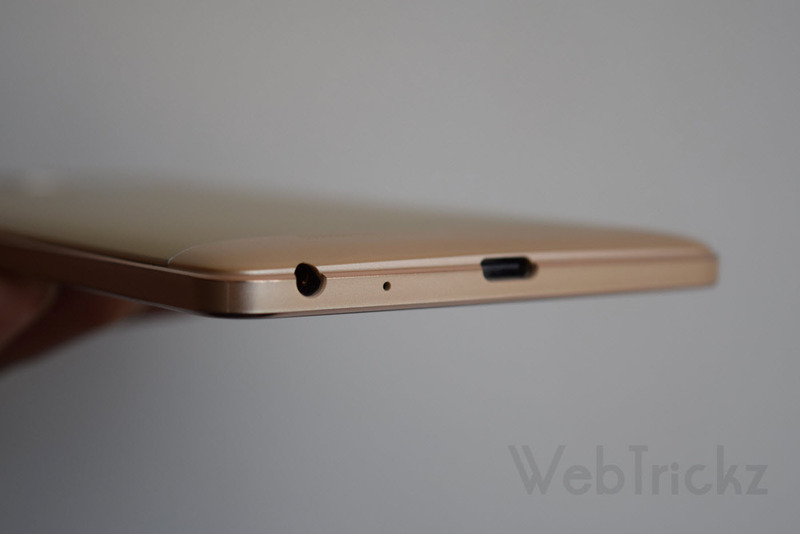 There is a USB Type-C port on the bottom whereas the top side has nothing over it. 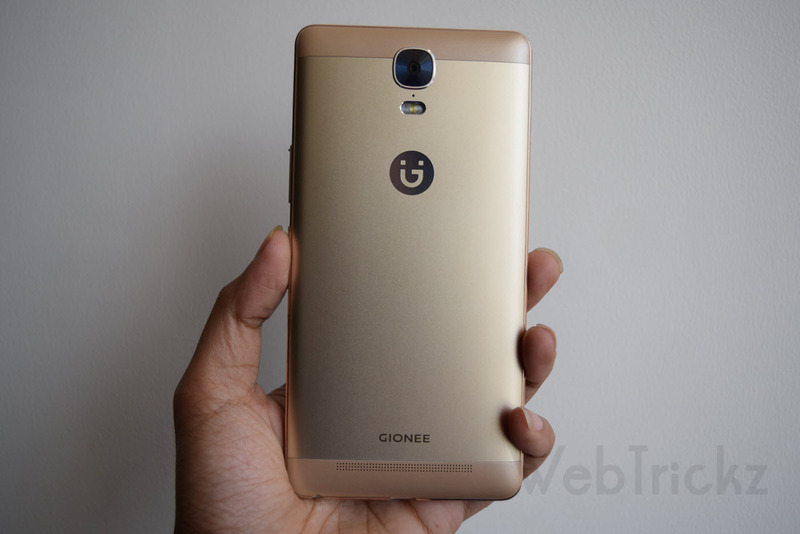 Coming to the rear side, there is a 13MP camera, secondary mic, LED flash and right below them flaunts the new Gionee logo and branding followed by a speaker grille. All these elements are centrally aligned thus giving an aesthetically beautiful symmetric look to the device. Despite packing a huge display and battery, the M5 Plus is just 8.4mm thick and is quite lightweight at 210g making it comfortable to hold under moderate usage. However, the device could be big and bulky for people with smaller hands or those who aren’t used to using big screen-sized phones. Overall, we’re impressed with its build and design. ~ The Gionee M5 Plus packs a solid build quality and premium looks in a slim profile that brightens up your style quotient. The 6-inch Full HD AMOLED display @368ppi is one of the main highlight of the M5 Plus, besides the huge battery and fingerprint sensor. One thing we really like about Gionee smartphones is that they usually come with Amoled display and the M5 Plus is nothing short of stunning. Its 6″ AMOLED screen is very bright and vivid with good viewing angles making it a pleasure to view photos, watch movies and play games on the bigger 6″ gorgeous looking display. The 2.5 curved glass panel on the top enhances the overall touch experience and thankfully the screen isn’t prone to fingerprints or smudges. There are settings like Adaptive brightness to optimize brightness and Economical backlight to automatically adjust backlight to save power. The stunning 6-inch screen on M5 Plus is a charm for those who love watching multimedia content and entertainment stuff while on the go, instead of carrying a tablet. Though, we wish Gionee included a ‘One-handed operation’ mode as a setting on this device that shrinks the screen size and comes handy at times. 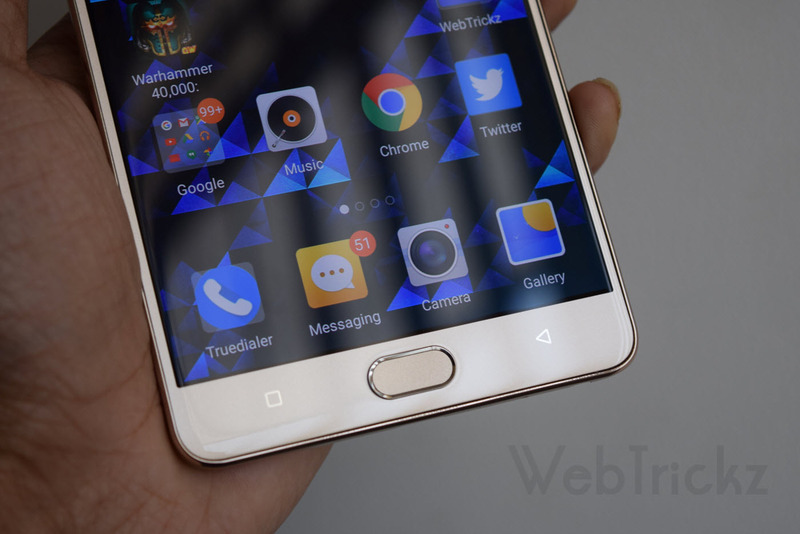 The M5 Plus is powered by an Octa-core Mediatek MT6753 processor with Mali-T720MP3 GPU and runs on Amigo 3.1 UI, based on Android 5.1 Lollipop. 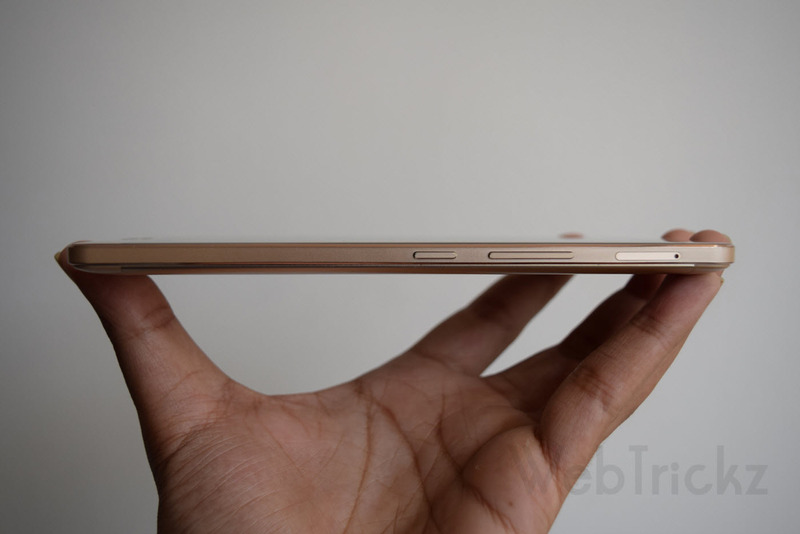 Under the hood, there is 3GB of RAM and 64GB of storage that can be further expanded upto 128GB via microSD card. Though the processor looks weak on paper but it performs pretty well in day-to-day tasks that involves browsing, multitasking, gaming, etc. The gaming performance looks equally good as there were no such lags or heating issues while playing Freeblade. We will test the actual gaming performance in our detailed review. The handset supports 4G LTE with VoLTE, CDMA support and USB OTG. The call quality is good and the sound output via loudspeaker is pretty loud. Coming to the software, the Amigo 3.1 UI doesn’t seems changed much. Out of 60GB, there is 51.8GB of free space available and around 1.7GB of free RAM. 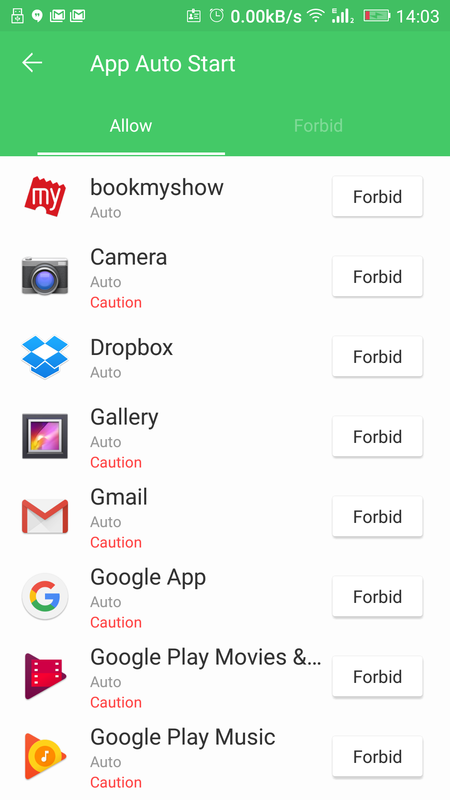 There are lot of pre-installed apps that come with the phone but thankfully most of them can be uninstalled. 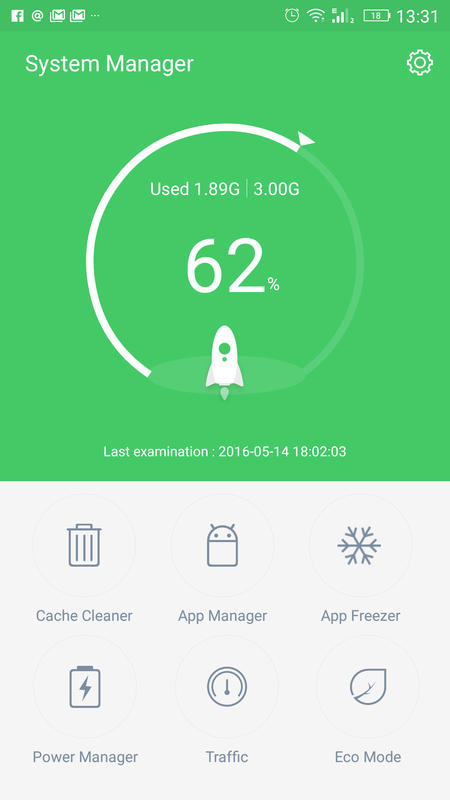 The software looks well optimized to deliver a smooth and lag-free performance. 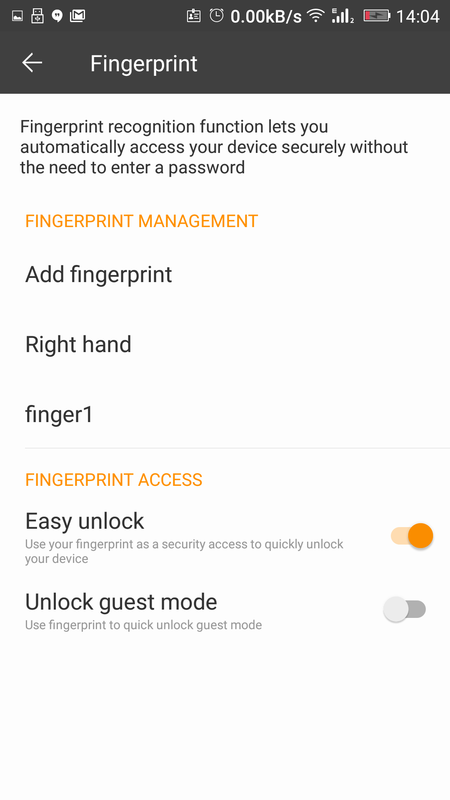 The Amigo UI offers added features such as Theme Park, Auto Call Record, Mobile Security, Smart Gestures (Smart Dial, Smart Answer, Double Click To Wake), Chameleon, Ami Locker, Child Mode, Super screenshots, Fake Call, etc. The M5 Plus comes with a 13MP primary camera, phase detection autofocus, f/2.2 aperture and LED flash. The protruding large size camera module doesn’t looks weird considering the phone size. The camera isn’t the prime aspect on this phone but it did a fairly good job in capturing photos and videos in our brief test. The shots taken in well lit conditions had decent amount of details and right amount of color saturations levels. There is a Pro mode to manually adjust the focus, shutter speed, ISO, White balance and exposure. 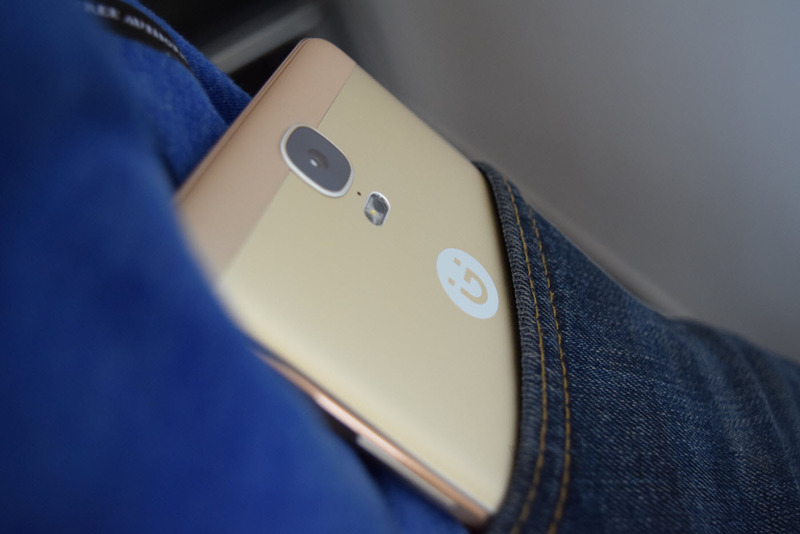 A 5MP camera is there on the front for selfies that supports video recording in 720p. We’ll cover the camera in detail in our full review. Last but not the least comes the battery which is the USP of the phone! The M5 Plus is packed with a massive 5020mAh battery (non-removable) with dual charging chips for a faster and safer charging. Though the phone supports faster charging but it comes with a standard 2A charger which is bit disappointing. In couple of our tests, the M5 Plus battery lasted for 30hrs with a screen-on time of 8.5hrs under normal to heavy usage which is pretty impressive. Additionally, it has smart battery saving modes such as Eco Mode, Power Saving Mode, Extreme Mode to further extend the battery life. Comes in Champagne Gold and Polar Gold. The box contents include a phone, transparent case, screen protector, in-ear headphones, Type-C charger, user guide and SIM ejector tool. 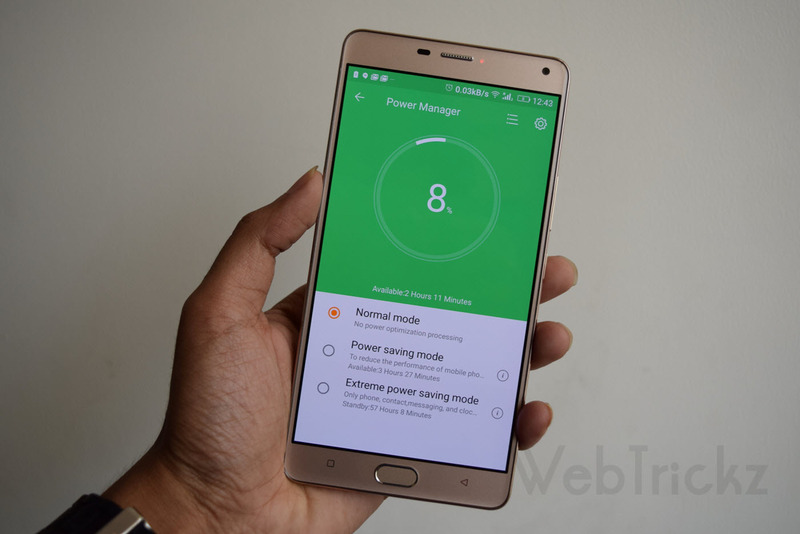 The Gionee M5 Plus is indeed a good offering with a solid build, premium design, stunning 6″ display, and a 5020mAh mammoth battery. The device comes at a premium pricing of Rs. 26,999 which is pretty high considering the competitive smartphone market in India. But at the same time, we can’t judge the device just on basis of specifications as user experience is what that matters the most. The M5 Plus is perhaps a considerable choice for those looking for a device offering a delightful multimedia experience and a promising battery life while traveling. The provided Fingerprint sensor acts as an icing on the cake. The phone is available to buy online exclusively at Flipkart and at retail stores offline. 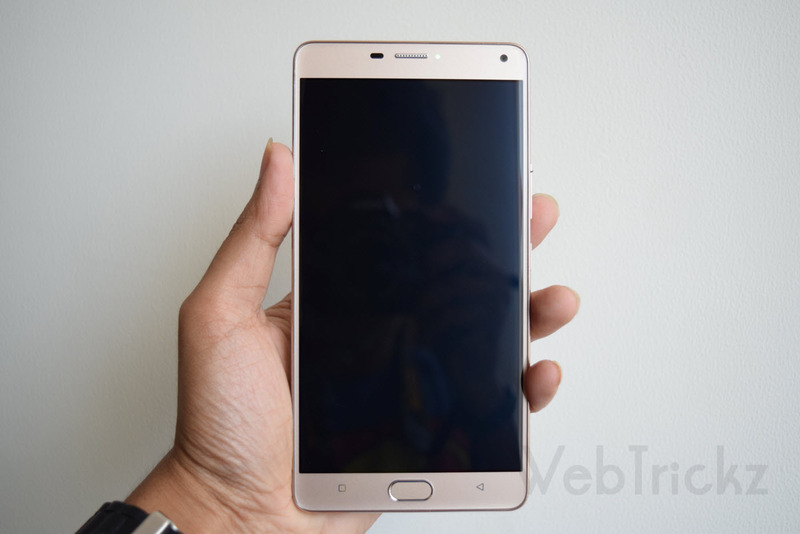 We will try to cover other aspects of the phone in our detailed review.